Congratulations to Darnell Barrow for capturing the 85th Annual Holy Saturday Cross Country Cycling Classic Championship. In Belize, Holy Saturday is also known for our Holy Saturday Cross Country Classic. 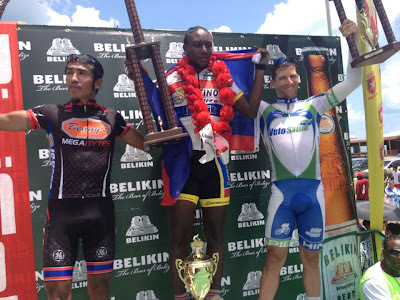 This a 140 mile bike race starting in Belize City, traveling west to San Ignacio where the riders turn around and head back to Belize City. 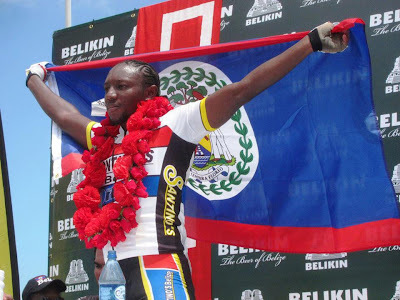 This year's champion is Belizean, Darnell Barrow, who finished the race in 5 hours, 46 minutes and 49 seconds, winning out 87 other cyclists from Belize, U.S.A, Mexico, Guatemala, Costa Rica and Cuba. This year will be the 85th ride. The first race was in 1928 with Elston Kerr as the champion and Norris Wade as the sub-champion. 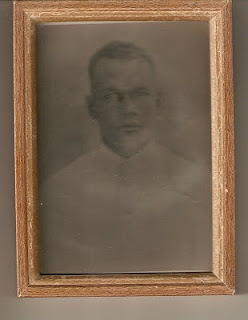 The ride dates back to the period when Monrad Metzen picked up the idea, because people used to cover miles on their bicycles to attend the weekly game of cricket in the Belizean villages. He sowed the idea of a sporting event in the difficult regions of the Western Highway which were then poorly built, and so it all began. Photo 1 & 2; courtesy the Belize Cycling Association.